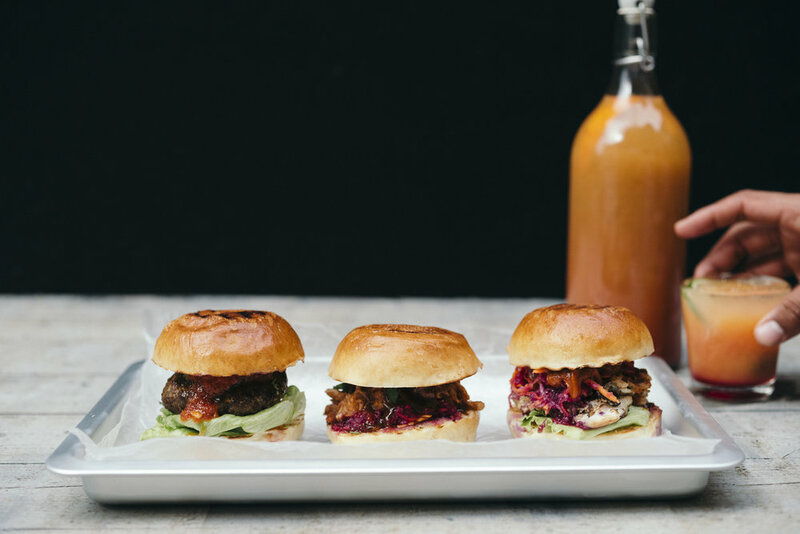 Burgers from the Islands. 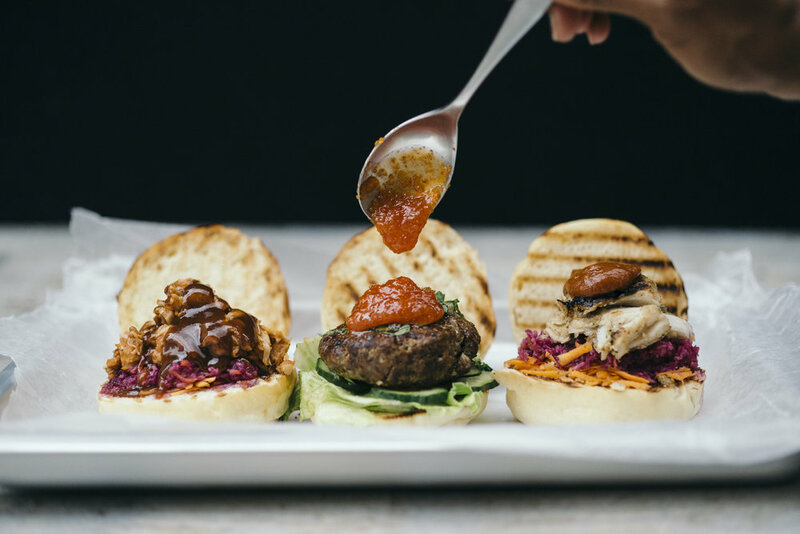 We took inspiration from the party capitals of the Caribbean, Jamaica and Trinidad to bring new levels of indulgence to burgers. Rich sexiness offset by ever changing market salad… Let’s nyam! &Bake’s signature burger. Based on Trinidad’s Bake ‘n’ Shark, this is one of the Caribbean’s tastiest dishes. We source sustainable Hake. We spend a long time sourcing our meat to deliver on both flavour & quality. This burger is real jerk, smoked on the BBQ over pimento wood and licked with flames to finish. We’ve used jackfruit as our number one meat replacement from the beginning of our culinary adventures. Caribbean cuisine is not well know for it’s vegan options, but there are plenty of examples of plant-based diets, Ital being one of them. Here we offer vegans the exciting flavours of Jamaica.